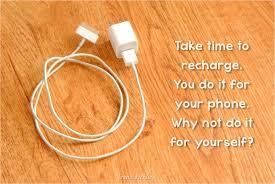 How often do you recharge yourself? Does everyone need some me time or is it an exaggerated concept? Does everyone find comfort in their own company? Does everyone need to get recharged? How often? What about those people whose work itself is like a vacation? So you plug in at night too. ???? Sorry, bad joke! ???? Yes, we all need it. Although I’m not sure how many of us go ahead and really do that for ourselves. I need it everyday…get it some nights. (Have two kids, so a bit difficult for me!) ???? You are sporty…a rare and loveable quality. ???????????? Mundane things do help in keeping our mind occupied but can we put off something off our minds for long? I don’t advocate it but I’m all for thoughtful isolation once in a while. Hope you don’t let anyone get to you. No one is worth losing out yourself for. Hugs dear!! Blogging is my retreat too. I love it when me and my thoughts…my words…come together in a post. Oh boy. . I need that desperately.. been workig day in day out since Feb this year.. no break almost 7 days.. I know I know.. I been working since yesterday and almost through the night .. reading a few posts too change the scene.. I have to finish this module by tomorrow.. ????????.. I might just go away somewhere and not tell anyone..???? Do that. You really need it. Shall I send something your way to eat? A cake may be? ???? Yes yes yesssss yesss yesssssss…. that in itself would be brilliant.. you know me and food. .
That’s why I said nothing else. ???????????? Haha! I used to be like you. I guarded my me time fiercely. There was an invisible ‘Do not enter’ sign on my room post 10 at night (before I got married obviously) although all I did was while away time doing nothing productive. That was my best time!! Now I just grab whatever time I can find. It is tricky, but I try. I need to charge the device way too much too. ???? It is more out of habit perhaps. ???? No, more of a requirement. my alone time will be shared once married. It will be “our” time. Hmm, that’s true. Hope you enjoy your ‘our’ time just as much! ???????? I love your optimism. Keep it up. ???????????? Wish you the best for it.